City Council supports Jakarta Provincial Government acts to raid the use of groundwater in multi story buildings in Jakarta.
" Because groundwater usage has been regulated in regional regulation (Perda)"
"This is government's duty to enforce the rules. 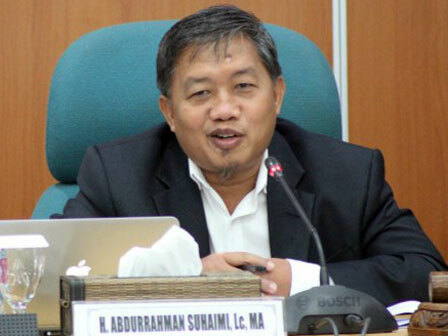 Because groundwater usage has been regulated in regional regulation (Perda)," mentioned Abdurrahman Suhaimi, City Council's Commission D Deputy Head, Monday (3/12). Regulation that he mentioned is Perda No. 10/1998 about Groundwater and Surface Water Collection and Utilization Taxes. That Perda regulates about groundwater usage and restriction. "Because if it is not obeyed, land subsidence might happen. Thus we support governor for this act," he conveyed. For information, Jakarta Governor, Anies Baswedan has officially formed integrated monitoring team regarding infiltration wells procurement, wastewater treatment plant, and also groundwater usage in building and settlement. Work of this team is based on Governor Decree (Kepgub) No. 97/2018 about direct raid act regarding groundwater management in buildings in Jakarta.